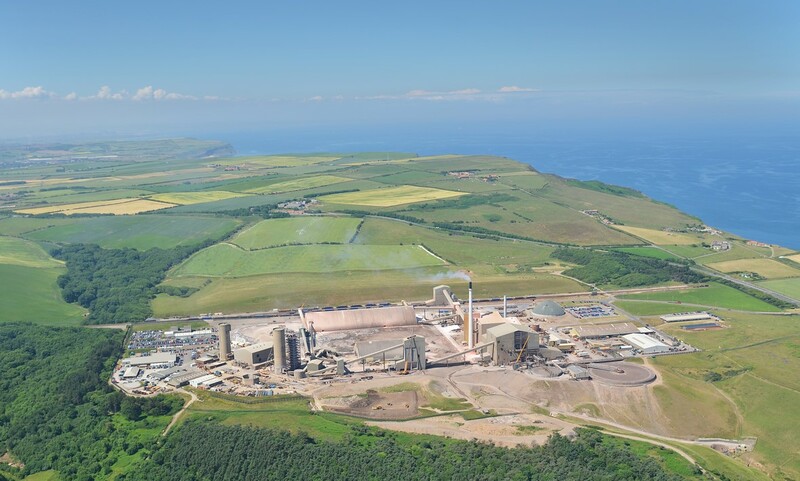 As part of Cleveland Potash Limited's continued upgrade of their Boulby Mine in North Yorkshire, Qualter Hall have been awarded a further major contract for the mine, this time for the design, supply, installation and commissioning of a new Polyhalite Process Facility. Work has already begun and is scheduled for completion in 2016. This contract follows Qualter Hall's successful replacement of the Boulby Mine's Headgear in 2013 and the Round House Transfer Tower in 2014, along with the ongoing consultancy works by Qualter Hall for this latest requirement. The scope of works for this new Polyhalite Process Facility is to build a new crushing and screening facility within the curtilage of the mine. It includes a 1000te/hr x 300mm diameter pipe conveyor leading from the Round House Transfer Tower, now known as the Cube, into the Run of Mine Stockpile Shed which comprises of tripper conveyor, loading trunk, 12000 tonne stockpile bay, drawdown chutes and uncoaler feeders. Then the Process Cell which includes nine process conveyors and five bucket elevators, two 100 tonne storage bunkers, two vibrating feeders, four megatex screens, process pipework, impact crusher, dust extraction and oil coating system. Followed by the Finished Product Shed with three product storage bays, three stockpile conveyors and loading chutes, drawdown chutes, uncoaler feeders and finally discharging to the rail outloading system comprising three new conveyors and gantry with upgraded rail loader. In addition Qualter Hall are also responsible for all civil works and electrical control works, with the whole process being fully automated and computer controlled. The Polyhalite to be processed by this new facility has been located in vast quantities (indications of more than a billion tonnes) beneath the potash reserves currently being mined. Polyhalite is a unique mineral salt which is used as fertiliser. To take full advantage of this opportunity this new Polyhalite Process Facility is being established next to the Boulby Mine for processing the polyhalite into speciality fertilisers and industrial products. 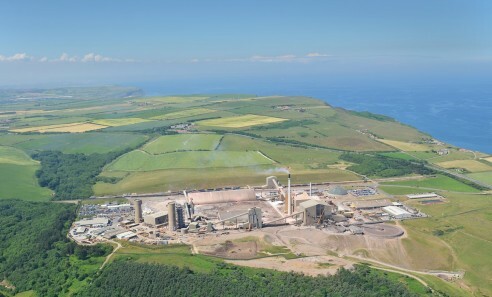 Says George Orton, Qualter Hall's Managing Director: "We are of course delighted to be continuing to build on our excellent working relationship with Cleveland Potash. This is our third major contract at Boulby Mine in the last four years, two having already been successfully completed. Given our own breadth of engineering expertise, particularly within the Mining sector, combined with the excellent rapport we have with the Cleveland Potash team, we are confident of meeting the demands of this challenging project." Qualter Hall developed and used a highly specialised fast-build procedure, involving jacking and then sliding out the old structure, a 50 metre tall, 2700 tonne concrete headgear, on polished stainless steel slide paths initially 25 metres south and then a further 50 metres east away from the shaft, where it was then successfully demolished. The work on the new Round House Transfer Tower took place in 2014. The Round House is a Conveyer Transfer Tower which is located adjacent to the Headgear and used for the transfer of the mined ore from the shaft. The work included the demolition of the existing Round House structure, the construction of a new conveyor structure and mechanical equipment from the shaft to the Round House, new conveyor transfer tower structure, new three way traversing chute, new tail end structures for the existing two out feed conveyors, electrical services installation and all civil works. It also included provision for the future installation of the new out feed conveyer to the new Polyhalite Process Facility.